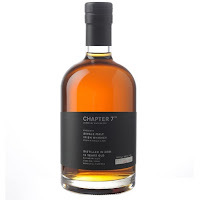 This single cask is a part of the series “A Whisky Anthology”. It is a Sherry cask and only 293 bottles were made. The smell is light (besides the high ABV) yet full of dried fruits. A pleasant mix of fresh white fruits and dark dried fruits. Ireland meets Speyside. The taste is full of dried fruits. Raisins and dates mixes with plums. Much oak as well with faint tannin notes. The finish is long but dry, with oak again as a main factor. Some sweetness from red berries. It almost has a bubble gum sweetness to it. The Irish style is noticeable in the smell, but is simply out powered by the Sherry cask influence in the taste and finish. If you love Sherry matured whiskies, you must try this! 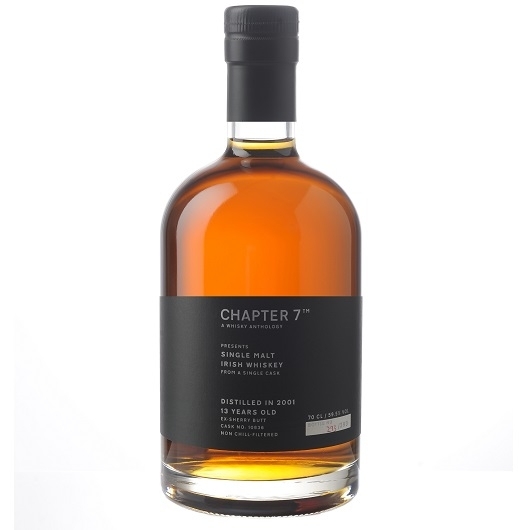 It is definitely a quality cask and I can understand why Chapter 7 chose this specific one! I will rate this 89/100 (22/22/23/22).